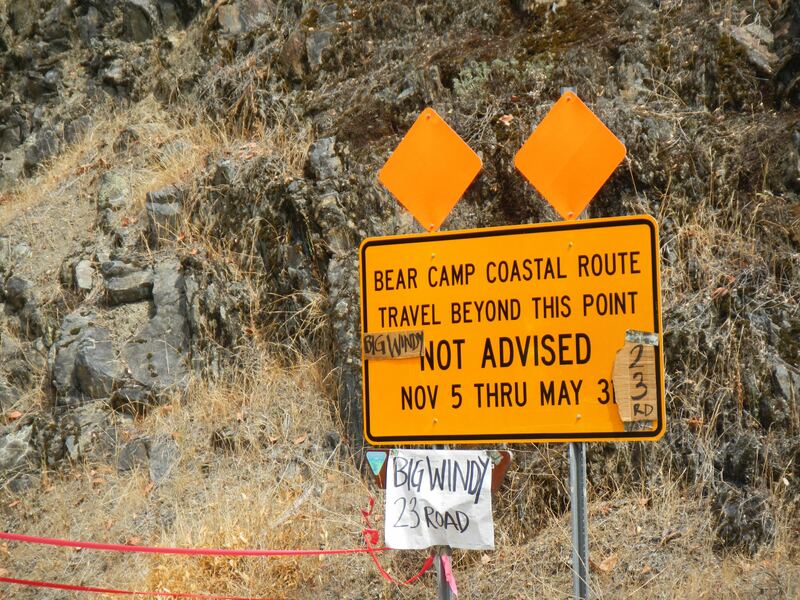 Originally Published in my column for RoadRUNNER Magazine on: 10/16/2014 as Trans America Trail: The Wrath of Big Windy! Good morning Shady Cove! This appears to be it . . . the last official day of the TAT. 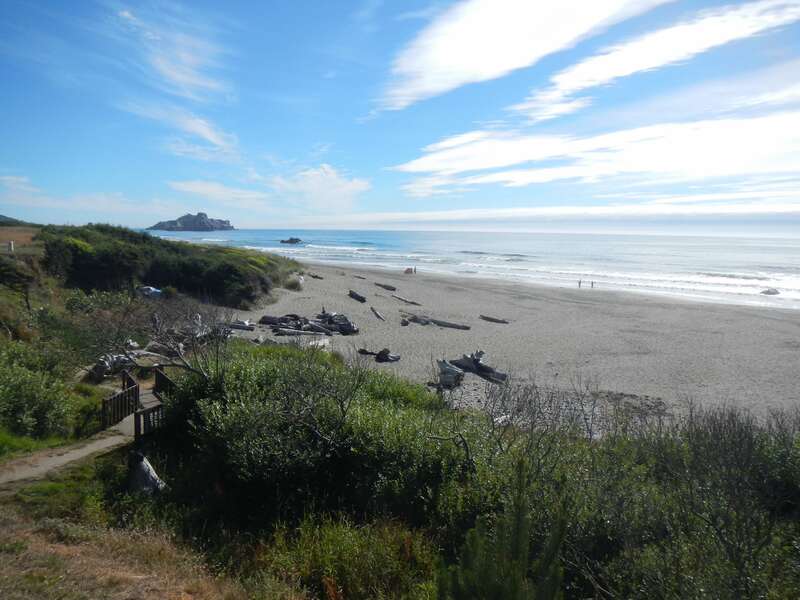 By tonight we should arrive in Port Orford. 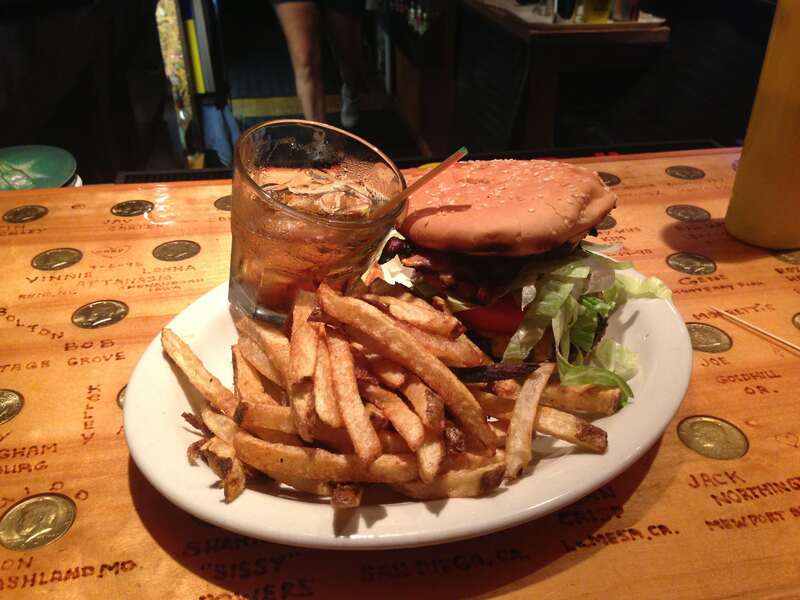 I make a cup of coffee and walk down to the Rogue River and call the Castaway By The Sea to confirm our reservation for later tonight. 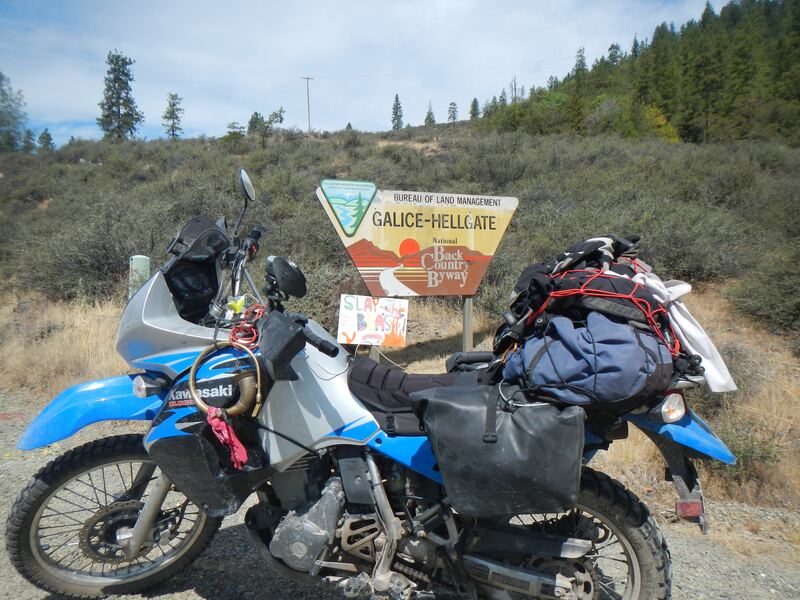 A quick gas station breakfast of biscuits and gravy are enough to fuel us for the day, and we are soon on the way to the Gallice-Hellgate scenic byway, where we will again connect back into the official TAT route after detouring through Crater Lake. 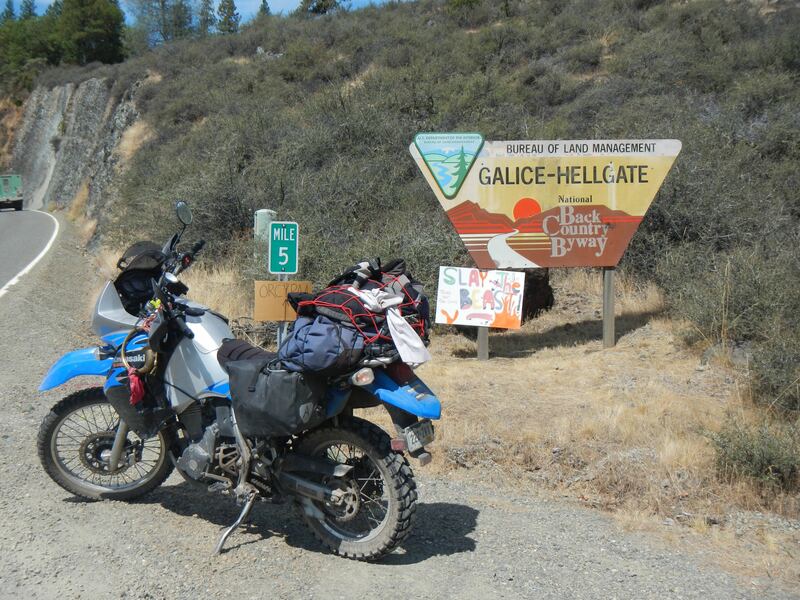 The ride over is uneventful, and we get to the entrance of the byway in just over an hour. 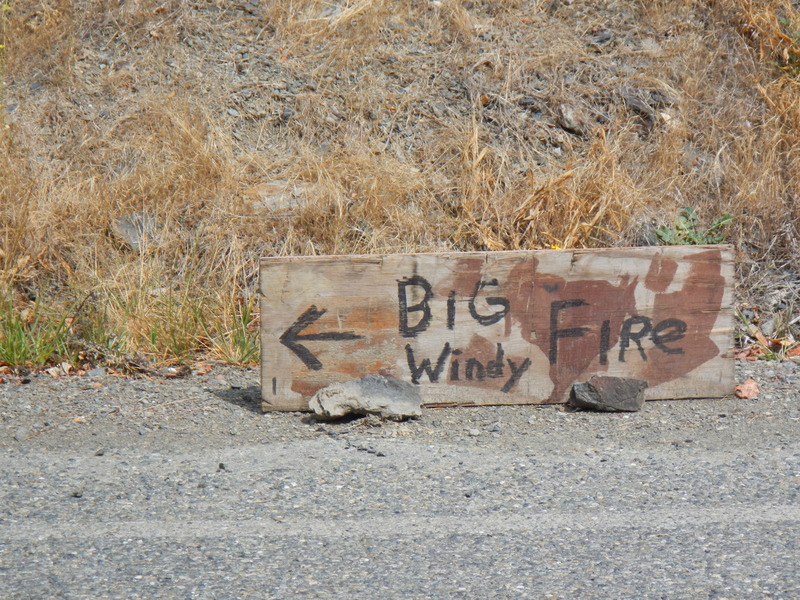 However, signs are everywhere warning us of blocked roads and the “Big Windy” fire. 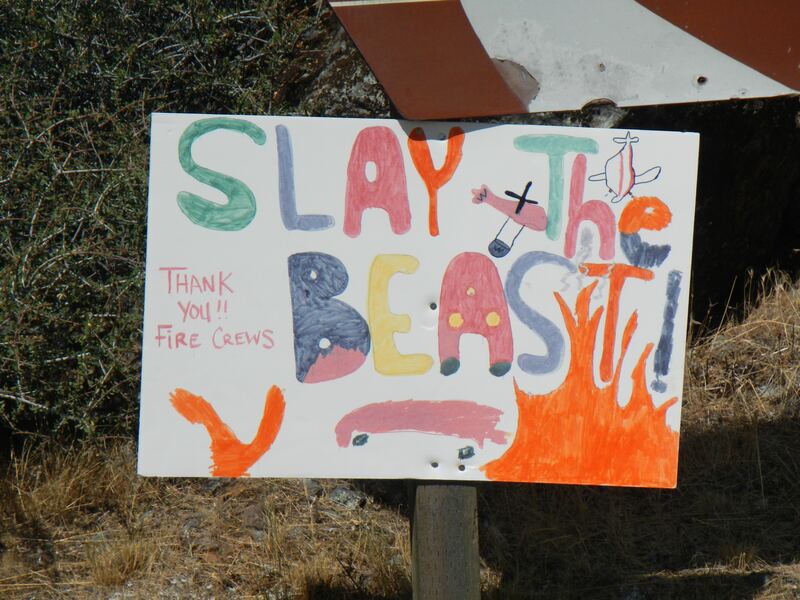 They are accompanied by heartfelt “thank you posters” from local families and children whose personal property has been spared by the fires thanks to the dedicated firefighters. These signs give us hope that things are under control, and we press on. In about 30 miles we’re halted by what appears to be a couple of teenage National Guard members. They get up from their lawn chairs and approach us swiftly; both twirling their hands as if attempting to rope some imaginary calves. Unfortunately for them the unison move makes them look less like cowboys and more like two uniformed country line dancers. One bellows out without any introduction to, “Turn it around.” We attempt to gain an understanding of what is going on and try to find out if they know of any alternative routes. They’re not interested in talking. They simply look right through us and insist that we turn around. Only the one talking completes the announcement with the lasso hand motion, though, It’s too bad; it’s much less entertaining when only one does it. We’re frustrated by their lack of friendliness. We know they’re just doing their job, but with no one else here and no immediate threat in the area, we feel they could be more polite and a bit more helpful. To be fair, the sign at the guarded entrance reads, “Danger: Remote road system ahead, you could get stranded and die!” Then again, more than half of the TAT could be labeled the same way. Discouraged but determined, we attempt to find a way around this roadblock without returning to the highway. 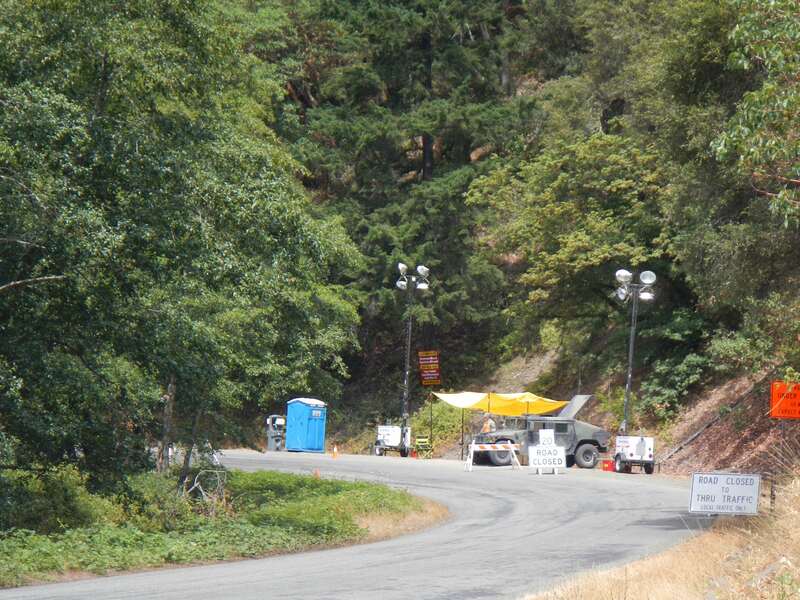 Regrettably, the byway is one way in and out unless you head off route, which is blocked. Being this close to the end, we do not want to get on pavement. Up until now the detours have been purposeful, but this feels different. We both feel we want to honor this last leg, so we start searching for alternative and safe ways to stay on the trail. After an hour of searching and hitting dead ends we finally settle on Briggs Valley Road and NF-25, not entirely dirt, but the best we can find. As we ride along, we try several more times to get back to the official route, but we are turned away time and time again by dead ends and fire blockades. 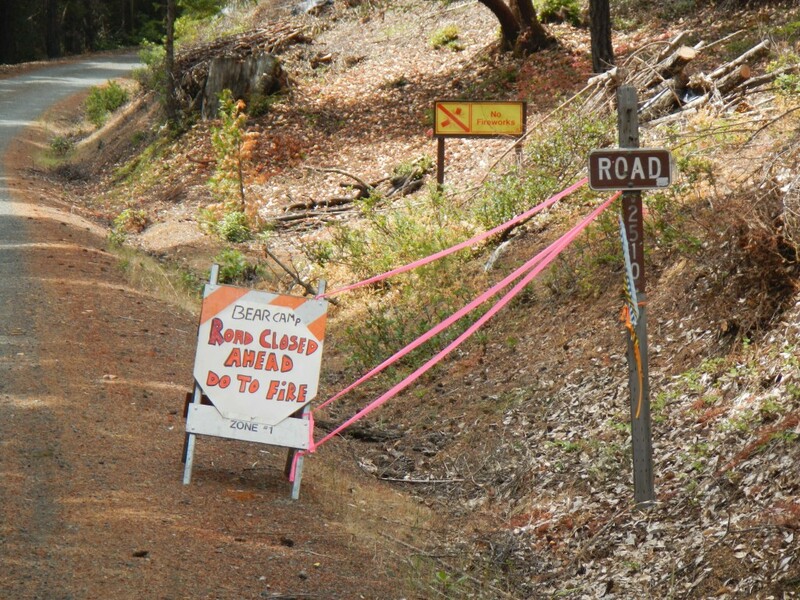 We finally accept that we will need to stay on this course until we come out somewhere near the Redwood Highway. This will require us to travel south into California and arrive at the coast there instead of Port Orford. But a fire is a fire, and we must accept the hand we’ve been dealt. Apparently I rode right over it. We snag some quick video before it heads off into the woods. Just as it does, an attractive young woman, carrying a knife and a big stick, approaches us on foot. A few moments later a rusted old pickup with three guys who could easily pass as the cast of The Devil’s Rejects rolls up as well. Apparently they are all together. They inform us that they are searching for snakes and “other critters.” As they tell us this, they eye us suspiciously like we may have found something else. Nope, just the snake. We point in the direction that it was headed. They thank us for the tip and start to park the truck. We decide to take our cue and leave before they exit the cab. 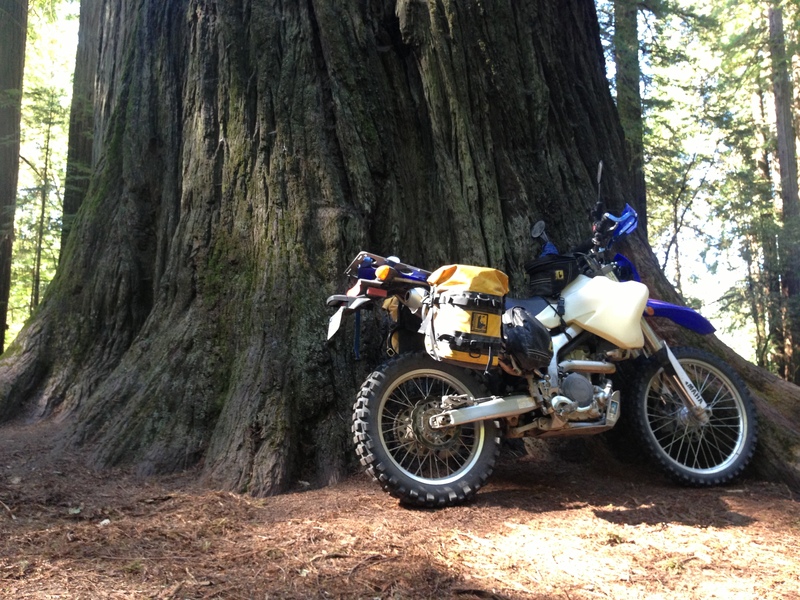 We eventually pop back out of the woods onto the Redwood Highway. I am disappointed but relieved that we may still make Port Orford tonight. I also like that we briefly get to see some redwoods courtesy of Jedediah Smith Redwood State Park. We would have missed this opportunity had we not come this far south and recognize the gift we have been given rather than staying frustrated because of the closed road. 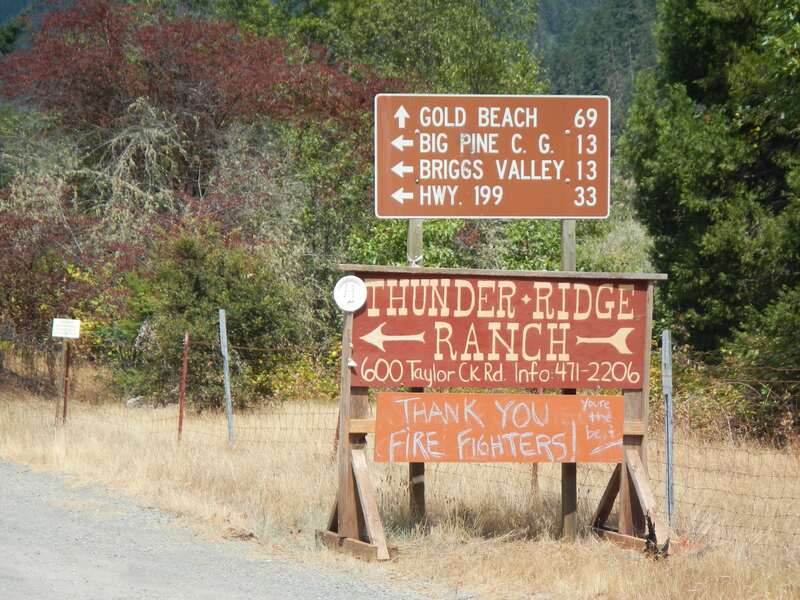 From here we pick up route 197 and soon connect to the famed Pacific Coast Highway around Smith River, CA. This is where we officially spy the Pacific Ocean and pull over to take it in. 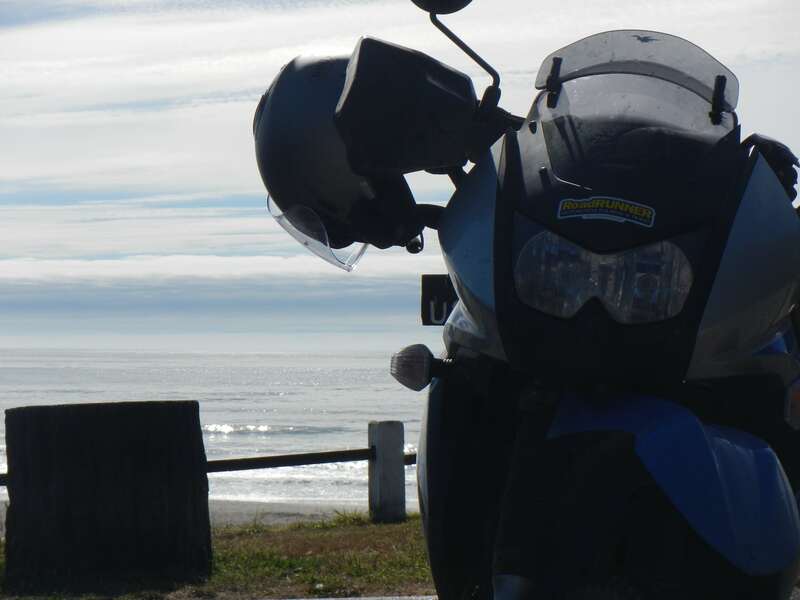 While we are not in Port Orford, we have reached the Pacific Coast, and it requires some reflection. In July I was in Connecticut standing on the Atlantic Ocean as my girls ran to touch the water. A few days later I was seeing them off at the Hartford Airport. A couple of days after that I was beginning this amazing journey. Riding down the east coast to North Carolina for the RoadRUNNER Touring Weekend and eventually arrived in Tellico Plains, TN. For half the journey it was just my dad’s memory and I making our way across the country together. In Colorado, I was connected with my west coast riding partner Luke Swab. Less than two weeks after our meeting, we are standing here on the Pacific Coast. Perhaps not how we imagined it, but then again there has been a lot I couldn’t imagine in the past year. My one and only vine ever recorded – taken right before I left for the TAT about 6 weeks earlier. In a few of hours we will arrive in Port Orford, but for now, we take in the accomplishment, snap photos like tourists, and each enjoy the moment in our own way. To be “completed” . . . next week!